Debate teams provide a formal structure for argument. Debate teams are a popular extracurricular activity at high schools and college. Two teams are given a proposition, with one team arguing in the affirmative -- for the proposition -- and one arguing in the negative, against the proposition. Multiple debate formats exist, allowing debate team members to test their argumentative skills in individual and group formats. The Lincoln-Douglas format of debate is named after Abraham Lincoln and Stephen Douglas' debates on the subject of slavery. 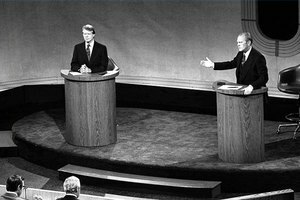 In Lincoln-Douglas format, only one person argues on each side of the debate. 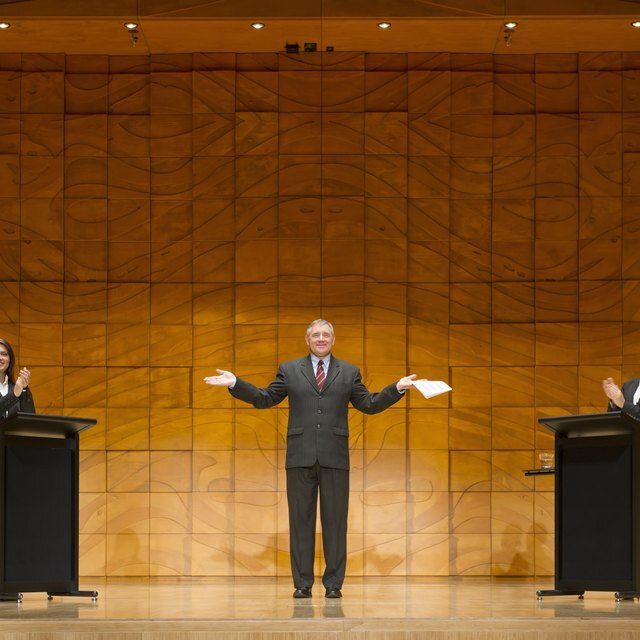 The debate begins with a constructive speech by the affirmative side, which lays out the main arguments for the proposition, followed by a shorter cross-examination during which the negative debater can ask questions of the affirmative debater. After the cross-examination period, the negative side gives its constructive speech, followed by a cross-examination by the affirmative debater. Following this, the affirmative and negatives sides each offer a rebuttal speech, in which they re-emphasize the important aspects of their constructive arguments to refute the opposing sides. New arguments may not be brought up in a rebuttal. The debate closes with a shorter final rebuttal by the affirmative debater. The team policy debate format is commonly used in high schools. The affirmative and negative teams are each composed of two debaters, and the debate is composed of eight speeches: four eight-minute constructive speeches alternating between the two teams, beginning with the affirmative side, then four alternating four-minute rebuttal speeches, beginning with the negative side. 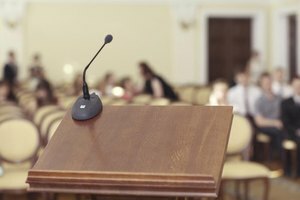 Speeches by a team will typically alternate between the two team members, so the first affirmative speech and last affirmative speech will be given by separate debaters. Team policy debate judging emphasizes research and evidence over persuasiveness and diction. A successful team will gather data to counter all potential arguments by the opposing side and be able to use it at the time of debate. 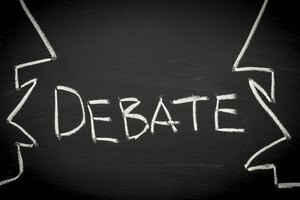 The National Debate Tournament, or NDT, and Cross-Examination Debate Association, or CEDA, formats are team debate formats similar to team policy debate, but they're used at a college level. These formats use the same arrangement of alternating constructive speeches followed by alternating rebuttals. The speeches in these formats are longer than at the high school level. Each of the constructive speeches is nine minutes long, followed by a three-minute cross-examination period, while the rebuttals are six minutes. NDT's judging places the same emphasis on evidence as the team policy debate; CEDA tends to stress policy in its debate topics and thus provides more opportunity for values-driven arguments. Parliamentary debate formats stress improvisation and persuasion. The proposition being debated is not given to the teams until 10 or 15 minutes before the debate begins, meaning the teams do not have a chance to perform in-depth research. 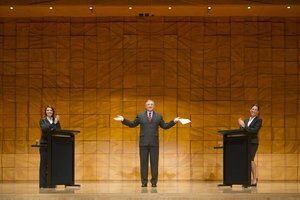 A parliamentary debate alternates between four constructive speeches followed by two shorter rebuttals. No cross-examination is used in parliamentary debates, but a team may interrupt an opposing team by calling for either a point of information, asking for clarification on an argument, or a point of order, to observe that a rule of the debate has been broken. Some variants of the parliamentary format include four teams -- two arguing in favor of the proposition and two against. In this case the teams are ranked from one through four at the end of the debate. Zamboni, Jon. "Kinds of Debates." 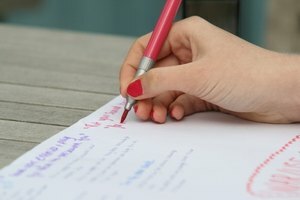 Synonym, https://classroom.synonym.com/kinds-debates-5200437.html. Accessed 20 April 2019.